Following on from Clare’s previous two posts on Native SharePoint Timesheets and Plug-in one, I’ll be running you through the options for creating SharePoint Timesheets for free. This was one of the favorites out of all the templates we tried. In fact, the punching in and out functionality was a feature we emulated into TeamTime. I’d like to think of TeamTime as a spiritual successor to this template. SharePoint 2010 has a built-in Timecard list, that is hidden from normal view for some reason. Although this is by no means a complete solution, it’s freely available to anyone able (or willing) to activate the feature and create it though SharePoint Designer 2010. In SharePoint 2010, there’s a little-known built in feature. There are list templates that can be used for time card tracking, with a holiday calendar that ties into the time card. A common requirement on Intranets is to have a timesheet template on SharePoint. There are solution for company timesheets. I wanted to build a timesheet application that was scalable, reportable and friendly for SharePoint. If you want to skip the source code, his third article in the series (Part 3 – Installation) has a link to the pre-built package. This solution is slightly different from the others, as it stores its data in a separate SQL Server database; which may not be an option for everyone. 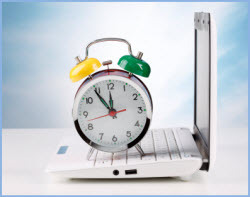 I hope you’ve found our SharePoint Timesheet series useful. If you know of any better alternatives, please let us know. We’re not afraid of a bit of competition. @amac44 – Thanks, I’ve changed it but it looks like the article ID’s on Lauras side have changed since this was published – lots of other references on interewb about timesheet page being ID=113. I have check all three solutions, none of this worked for SP2013.Could you suggest Time sheet solution for small organization where user can log his time on Projects he worked upon. I am using SharePoint Online office 365. I would also require reporting in later stage where I can check utilization of resources on project basis. I am ready to do custom code as I good in .net but new in SP2013. You’ve mentioned you’re working on Office 365, which means you’re going to struggle to find an appropriate solution. Your best bet is to check the SharePoint Store on your Office 365 site for apps that fits your needs. Developing a custom solution in .Net that’ll be compatible with Office 365 will have a very steep learning curve. Is it possible to add an approval process To timecard management template 2007 ? Can we use nintex to collect the appvol of punched hours ? @Wassim – I am sure you can, but that’s an expensive question and not something I can help with in the comments, you should contact Nintex for help on their workflow product.